Flooded! Putting the Iris Water Leak Detector to task! 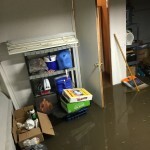 A week before Memorial Day 2015 the seemingly unimaginable happened soon after moving in to our new house; a heavy rainstorm dropped several inches of rain in less than a half hour causing the city sewer system to back up into our and several neighbors’ basements. Having just moved three days prior to the flood the basement was still full of stacks of unpacked cardboard moving boxes containing possessions no longer to be unpacked but to be sent straight to the trash. 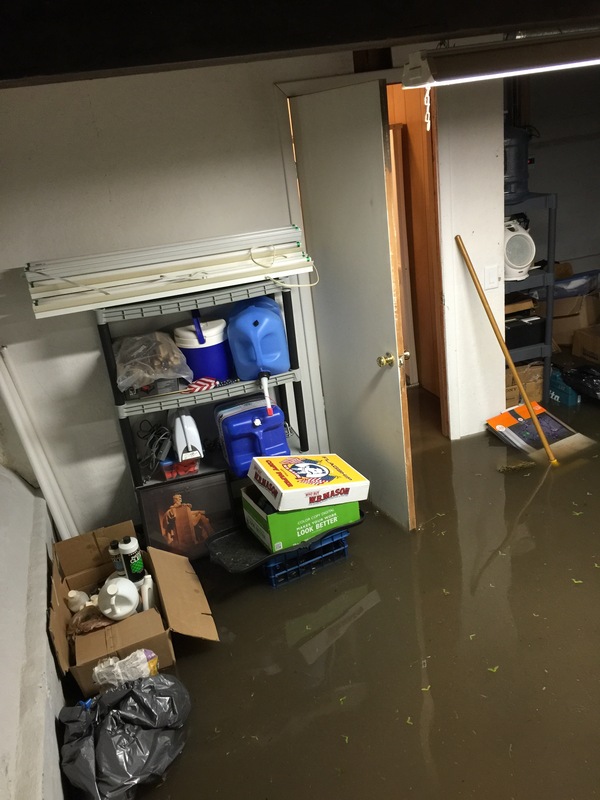 About 10,000 gallons of raw sewage backed up into the basement. 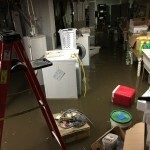 While we were home during the storm there was no indication that the sewers were in fact running in reverse. There were no telltale signs of gurgling or slow flushing toilets; the enemy was silent and stealth-like. By the time we discovered the problem it was already too late to salvage anything, the damage had been done. Appliances sit exactly where the moving company left them. The smell alone was enough for me to keep away from the basement but I couldn’t help but watch the raw sewage inch ever higher until it reached its peak around 16 inches. I too had reached my peak and at 2am called it a night, dreading the disaster that awaited me in the morning. Thankfully, the water had receded the following morning allowing the cleanup to begin. The cleanup was intense and the losses were mind-blowing. More important to me however, was how detect, if not prevent this scenario from replaying itself again in the future. 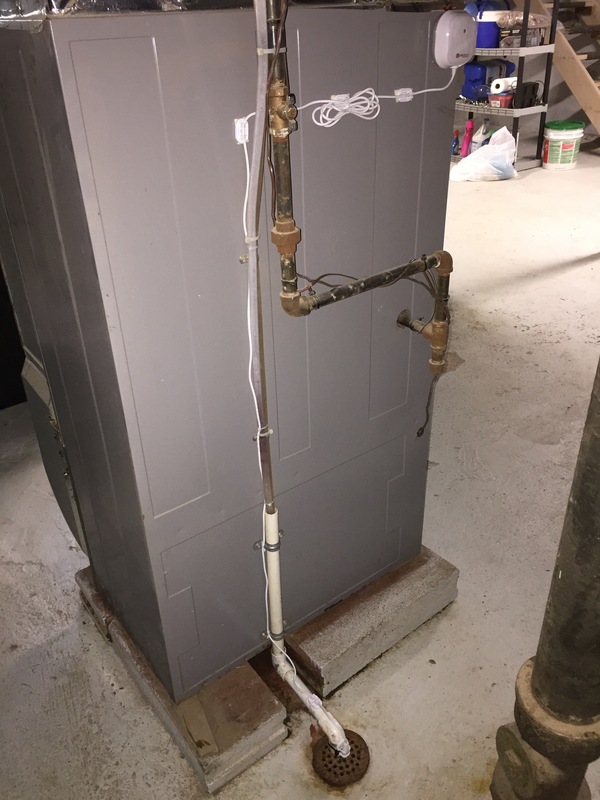 After talking with a few plumbers the general consensus was to install a sewer back flow prevention device; a valve that automatically closes anytime the sewer system flows backwards into the home. This solution is neither quick nor inexpensive but will surely happen in the near future. Since early detection was a must and likely the quickest and cheapest option, I turned to Iris for a solution. 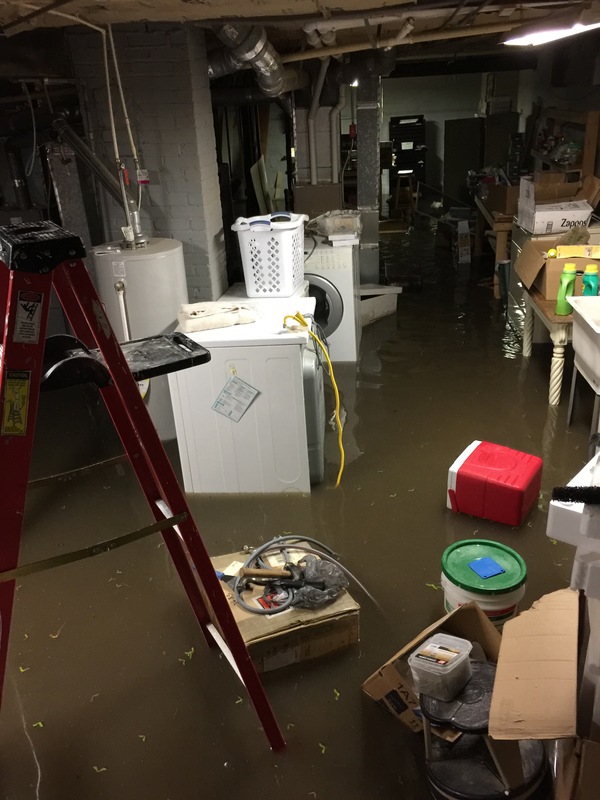 The logic is simple; if a sewer backup happens again in the future we will have immediate notification and if we are home, we can rush down into the basement to take appropriate action. 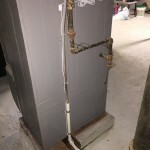 Water leak detector installed on furnace with probe 3/4″ above the floor drain. 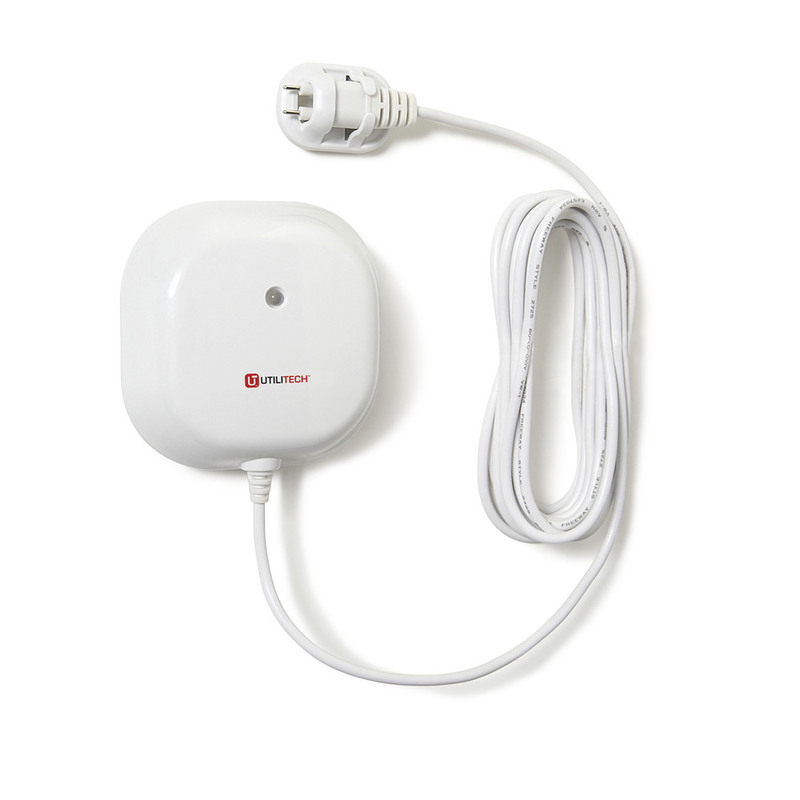 Using Iris for sewer backup detection was simple; the day after the basement was professionally cleaned and dried I paid a visit to the local Lowe’s store and purchased the Utilitech Water Leak Detector. Setup was both quick and simple; paring happened straight away and mounting was easy using the supplied double stick tape (screws are also provided). Before installation I wanted to be absolutely sure that Iris would immediately notify me when water was detected, after all a delay of even a minute could make or break any reasonable chance of salvaging belongings. A full-on test was in order and it’s captured in the video below. To monitor sewer backups we installed the unit on the furnace with the probe just above the floor drain where the sewage had entered from. 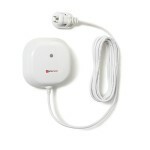 The results of the test were impressive; notifications were immediate the sensor was fast to alert. While I hope that it never activates, it is comforting to know that Iris is on the watch. Have a story about Iris you’d like to share? Leave a comment below.